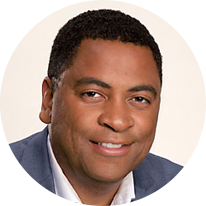 Lamont is Nielsen’s Vice President of Supplier Diversity, based in Dallas, Texas. Lamont expanded Nielsen’s supplier diversity program and strategy in the U.S. He is currently working on scaling our efforts globally. My journey in supplier diversity started before I knew anything about the profession. I grew up in a rough neighborhood on the west side of Chicago, and although I lived in a predominately African-American community, none of the business owners of the local stores were black. In fact, it wasn’t until I saw the television comedy The Jeffersons for the first time that I realized that African-Americans could own their own companies. What I also didn’t realize at that time was that my life mission of helping diverse entrepreneurs achieve their dreams of owning successful businesses was beginning to form. I knew that in order to be in a position to help others, I needed to focus on education. I worked hard in school and was fortunate enough to be selected into A Better Chance, a collegiate preparatory program, which gave me the opportunity to attend Lower Merion High School in Ardmore, Penn., and later, Lake Forest College in Chicago, where I began honing skills and business acumen that I would use in my future profession. After graduating college, and taking on a few roles in purchasing, I decided to pursue a career in procurement. I discovered supplier diversity while working at a company where the leader of supplier diversity was in the process of retiring. After hearing me present in front of our procurement team, he approached me about taking over his role. Once I agreed, he taught me the political impact of supplier diversity and identified the key internal supporters that would be vital to making the program successful. He also invited me to attend a national supplier diversity conference on behalf of our company. Once I attended that conference, I was hooked. I finally found a profession that allowed me to use my business, marketing and finance acumen, combined with my passion for innovation, philanthropy and revitalization of underserved communities. I was now driven to achieve my goal of creating a world-class supplier diversity program. Unfortunately, my position was included in a divestiture that resulted in a new role that didn’t involve supplier diversity. So I decided to leave the organization so that I could pursue my desired profession further. After searching, I obtained a full-time supplier diversity position with another organization, which led to similar roles with a few other companies. Ultimately, I found and landed my current position at Nielsen. When I joined Nielsen in 2012, I created the strategy for supplier diversity that includes four focus areas that I’ve deemed ‘RISE’: revenue-generation, infrastructure, spend and education. Revenue involves finding opportunities to sell our products and services to diverse communities and partnering with diverse suppliers to sell to the broader marketplace. Infrastructure involves changing the culture at Nielsen to increase the amount of awareness and support of our supplier diversity program. Spend is a metric of all supplier diversity programs and includes our company wide goal of spending at least 10% U.S. spend with diverse suppliers. Education includes building platforms and programs to educate diverse partners and prospective suppliers, making them stronger and ready to sell to other corporations. Our supplier diversity program has received a ton of national recognition, mostly because of our RISE strategy. This year, I helped launch our “Buy Local and Grow Global” initiative, which allows us to increase our support of local, smaller diverse suppliers in targeted U.S. locations while expanding our efforts globally in selected countries. We held our first Supplier Diversity Global Town Hall while partnering with our Supply Chain Sustainability team. We’re also working on a strategy to build our first diverse incubator that will assist diverse entrepreneurs with launching innovative companies while helping to expand mature diverse organizations. And for the first time, we have achieved our goal of spending 10% with diverse suppliers. We’re also working with our large strategic suppliers to subcontract with these diverse suppliers. My life’s journey on the west side of Chicago laid the groundwork for my passion of supporting diverse businesses. I can truly say that my career is directly connected with my life’s mission and journey. I am excited to lead Nielsen’s efforts in this area while we continue to use innovation help diverse suppliers grow from local to global.